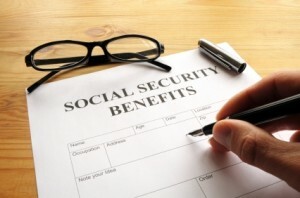 In what’s sure to be a bit of welcome news, the Social Security Administration has announced that Social Security recipients will receive a 3.6% increase in payments, effective this coming January. This is the first such increase in benefits since 2009, when there was a 5.8% increase. The lack of increases over the past two years was due to low inflation. Based on the average Social Security payment of $1, 038/month, this works out to an increase of $39/month.At the same time, however, Medicare premiums are expected to increase, which could wipe out the value of a Social Security increase. The Social Security wage limit (i.e., the amount of wages subject to Social Security taxes) is also set to increase next year from the current level of $106, 800 to $110, 100. This increase will affect roughly 10M of the 161M workers who pay Social Security taxes each year. In other words, this is a good news, bad news sort of thing. Good news if you’re a Social Security recipient — though be on the lookout for those Medicare premium increases — but bad news if you’re employed and earning more than the Social Security wage limit. 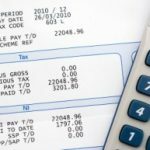 Payroll Tax Holiday on the Way Out? I have read all sorts of news items about the 3.5% increase in benefits for 2012. Is this definite or just rumors to make recepients feel good? This increase is pathetic. 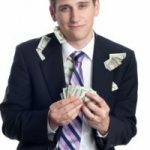 While those on SS or SS Disability receive a pittance in increased benefits, the fat cats close to Obama and Geithner are getting huge salaries and bonuses, courtesy of taxpayers, from the outrageous bailout payments big corporations have received. Aha, bump down the percentage but bump up the limit. That is one devious way of taxing the higher income brackets without appearing to do so. The givernment is striving to keep SOcial Security alive. I hope they are successful! I have seen numbers ranging from $10-$12 for the increase in Medicare premiums, which means a realized gain on approximately $20 a month. I haven’t seen the price of milk go down and if you look at P&G is doing: “Prices for Pampers diapers would rise 7% and the cost consumers pay for Pampers wipes would go up 3%, the company said. Charmin toilet paper and Bounty paper towels prices would increase 5%.” it doesn’t take long for that $20 gain to be completely wiped out by everyday items. So, to the people on social security, keep pinching those pennies and to those not yet on social security, you had better improve your plan to not rely on social security when you are older.